Why is Effective Mold Remediation so Important for Your Home or Business in Atlanta, GA? You should seek professional mold remediation services if you’ve identified significant mold growth in your home or business in Atlanta, Georgia. While mold exists in virtually any space, elevated mold levels create cause for concern. 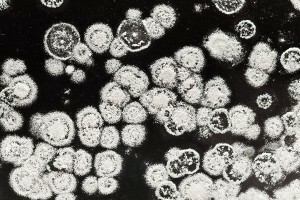 Some molds release mycotoxins, which can aggravate respiratory conditions as well as trigger symptoms such as migraines and rashes. Plus, because mold will degrade the organic materials used in building supplies such as drywall, it can also cause significant damage to your property. A qualified mold remediation professional will have the expertise needed to identify the extent of the mold growth and determine what environmental factors have allowed the mold to grow. Upon receiving your request for their services, they’ll begin by assessing all the areas in your home or business where mold could thrive – particularly dark, damp spaces with limited air circulation – and propose a mold remediation program to address any problems they find. Next, a mold remediation professional will utilize various types of equipment and techniques to rid your home or business in Atlanta, GA, of dangerous mold growth and prevent it from returning. Some companies will also treat at-risk surfaces in your building with a protective, mold-resistant coating, which they should back with a warranty stating that they will treat any mold that appears on those surfaces, free of charge. To put your mold remediation in the hands of a specialist you can trust, contact Abatement Solutions, Inc. today. Unlike companies that only offer mold removal services on the side while focusing primarily on their main line of work, we work day in and day out treating mold, so we’re exceptionally well qualified to address the mold problem you face. We proudly serve realtors, residential and commercial property owners, property management companies, and other clients throughout Atlanta, GA.